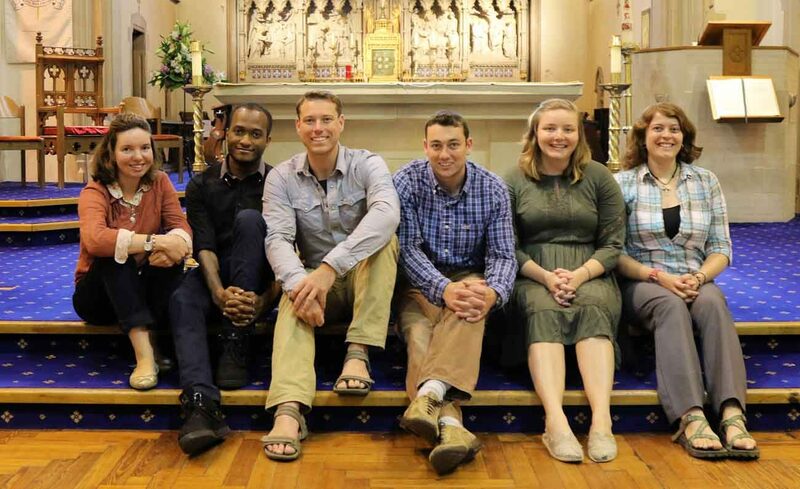 SHREWSBURY, England (CNS) — A group of American students has embarked on a mission to England in the hope of helping young Catholics grow more excited about their faith. The six theology students from the Franciscan University of Steubenville in Ohio, will spend two months in the Diocese of Shrewsbury at the invitation of Bishop Mark Davies. The mission of the American group follows Bishop Davies’ visit to Steubenville in 2016. He said he returned deeply impressed by the commitment to the faith of the students there. He accepted an offer of a visit to England by the student, who raised money to pay for air travel across the Atlantic. “We are very happy to welcome this witness of young Catholics from the United States,” Bishop Davies said in a statement June 5. One hope of the bishop is that the students will help to kindle a desire among English people of a similar age to live the faith as young Catholics. Among their activities, the students will visit parishes and schools, lead holy hours of intercessory prayer and give personal testimonies to groups of young people. The group includes Joshua Cordes, 29, and his brother Daniel, 22, both of Yucca Valley, California. In an interview in Shrewsbury with Catholic News Service, Joshua Cordes said: “One of the things that Bishop Mark was keen on was personal encounter, one-on-one, listening to people and not just having doctrines thrown at them. “The main goal is to get them excited about the resources here, the sacraments, the priests, the places they can go to have their questions answered,” he said. “They have all the stuff they need already, but we are just trying to reintroduce that. We are not offering anything new, we are just showing them what they have,” he added. Rebecca McCue, 28, of St Paul, Minnesota, said she believed the U.S. church had much it could share with its English counterpart. “I could easily name five people I know who are in religious life or the priesthood,” McCue said. The youngest person in the group is Susan Nussman, 21, of Cincinnati, who said she was keen to serve on the mission. “This is an opportunity to be of service and an opportunity to love,” she said. The group also includes Emmanuel Ambrose, 23, of New York City, who is making his first trip abroad, and Charis Willey, 25, who is from the Diocese of Shrewsbury but is studying in Steubenville. They will soon be joined by a seventh member, Steven Diaz, 27, of New York City. The group will stay in the diocese until July 29. Among their first activities was leading a holy hour for the success of the newly created Shrewsbury Youth Mission. The first gathering was June 7. Ambrose said he was eager to share his faith with people in the diocese. He said if he could help a single young person grow in their love for God, then his visit to England would have been worthwhile. “Just one is enough,” he said.